Hewlett Packard - 262171-001 HP/COMPAQ - HOT SWAP HARD DRIVE CAGE WITH SCSI SIMPLEX BACKPLANE BOARD COMPATIBLE FOR PROLIANT SERVERS (262171-001). REFURBISHED. IN STOCK. SHIP SAME DAY. Hewlett Packard - 365665-001 HP/COMPAQ - HARD DRIVE CAGE WITH SCSI SIMPLEX BACKPLANE FOR PROLIANT(365665-001).REFURBISHED. IN STOCK.SHIP SAME DAY. Hewlett Packard - 359248-001 HP/COMPAQ - PCI-X STANDARD NON HOT PLUG RISER CAGE COMPATIBLE FOR HP/COMPAQ PROLIANT SERVER (359248-001). REFURBISHED. IN STOCK.SHIP SAME DAY. Hewlett Packard - 387089-001 HP/COMPAQ - INTERNAL 6X1 WIDE ULTRA2 OR 3 SCSI HARD DRIVE CAGE FOR PROLIANT SERVERS(387089-001). REFURBISHED. IN STOCK.SHIP SAME DAY. Hewlett Packard - 263035-001 HP/COMPAQ - HOT PLUG HARD DRIVE CAGE WITH SCSI BACKPLANE BOARD FOR PROLIANT SERVERS(263035-001). REFURBISHED. IN STOCK. SHIP SAME DAY. Hewlett Packard - D1737 DELL - 2 BAY SCSI HARD DRIVE CAGE FOR POWEREDGE (D1737). REFURBISHED. IN STOCK.SHIP SAME DAY. Hewlett Packard - 141282-001 HP/COMPAQ - 6 BAY LVD HOT PLUG HARD DRIVE CAGE WITH BACKPLANE COMPATIBLE FOR PROLIANT SERVERS (141282-001). REFURBISHED. IN STOCK.SHIP SAME DAY. Hewlett Packard - 344460-001 HP/COMPAQ - PCI-X STANDARD NON HOT PLUG RISER CAGE WITH BOARD COMPATIBLE FOR PROLIANT (344460-001). REFURBISHED. IN STOCK. SHIP SAME DAY. Compaq - Compaq ProLiant 6x1 Drive Cage PN: 382159-B21 OR 387089-001 Internal 6x1 WIDE Ultra2 or 3 SCSI hard drive cage for the ProLiant 1600/1800/2500. ML370. Hewlett Packard - 359719-001 HP/COMPAQ - SCSI 6X1 HOT-PLUG DRIVE CAGE WITH SCSI SIMPLEX BACKPLANE BOARD FOR PROLIANT (359719-001). REFURBISHED. IN STOCK.SHIP SAME DAY. Compaq - DUPLEXING Hot PLUG HD CAGE FOR PORLIANT 1200 1600 2500 p/n: 264368-001. SAME AS 271972-001 OR 271932-001. Compaq - COMPAQ ULRA2 SCSI SINGLE BUS DRIVE CAGE PN: 401529-001 SAME AS 388658-001. IBM - 59P4905 IBM - HOT SWAP HARD DRIVE CAGE FOR X SERIES (59P4905). REFURBISHED. IN STOCK.SHIP SAME DAY. Compaq - COMPAQ SYSTEM BOARD WITH TRAY AND CAGE FOR ML530 PN: 159301-001. Hewlett Packard - 464188-001 HP/COMPAQ - NON HOT PLUG HARD DISK DRIVE CAGE FOR PROLIANT (464188-001). REFURBISHED.IN STOCK.SHIP SAME DAY. Compaq - 230995-001 ML370 G2 drive cage .PN: 230995-001. Compaq - COMPAQ HARD DRIVE CAGE WITH BACKPLANE BOARD PN: 159313-001 FOR PROLIANT ML570 AND ML370 G2. SAME AS 141282-001. Compaq - COMPAQ PROLIANT 1200 1600 2500 SYSTEM BOARD DUAL SCSI WITH CAGE. 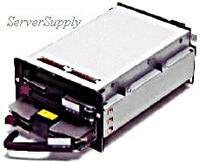 Hewlett Packard - 431887-001 431887-001 HP 2bay Hot Plug Wide Ultra2 Ultra3 SCSI Internal Drive Cage For Proliant Servers. New Bulk Pack. 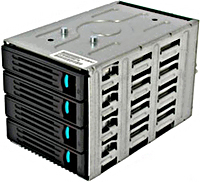 Hewlett Packard - 258051-501 258051-501 HP 2bay Hot Plug Wide ULTRA2 ULTRA3 SCSI Internal Drive Cage For Proliant Servers. New Bulk Pack. 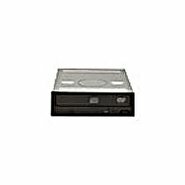 Compaq - 366862-001 ML350 G4 / ML370 G4 SCSI SIMPLEX DRIVE CAGE PN: 366862-001 359719-001. Hewlett Packard - 244059-B21 HP/COMPAQ - 2 BAY HOT PLUG WIDE ULTRA2/ULTRA3 SCSI INTERNAL DRIVE CAGE FOR PROLIANT SERVERS (244059-B21). NEW. IN STOCK.SHIP SAME DAY. Hewlett Packard - 431887-001 HP/COMPAQ - 2 BAY HOT PLUG WIDE ULTRA2/ULTRA3 SCSI INTERNAL DRIVE CAGE FOR PROLIANT SERVERS (431887-001). NEW. IN STOCK. SHIP SAME DAY. Hewlett Packard - 244058-B21 HP/COMPAQ - 2 BAY HOT PLUG WIDE ULTRA2/ULTRA3 SCSI INTERNAL DRIVE CAGE FOR PROLIANT SERVERS (244058-B21). NEW. IN STOCK.SHIP SAME DAY. Hewlett Packard - 532391-001 532391-001 HP DL360 G6 G7 2-BAY Optional Hard Drive Cage. New Bulk Pack. 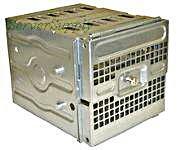 Hewlett Packard - 496074-001 HP/COMPAQ - STORAGE DRIVE CAGE FOR 2.5-INCH HOT SWAP HARD DRIVE CAGE (496074-001). REFURBISHED. IN STOCK. SHIP SAME DAY. Hewlett Packard - 516914-B21 HP/COMPAQ - STORAGE DRIVE CAGE FOR 2.5 INCH HOT SWAP HARD DRIVE CAGE(516914-B21). REFURBISHED. IN STOCK. SHIP SAME DAY. Hewlett Packard - 244059-B21 244059-B21 HP 2bay Hot Plug Wide Ultra2 Ultra3 SCSI Internal Drive Cage For Proliant Servers. New Retail Factory Sealed With Full Manufacturer Warranty. 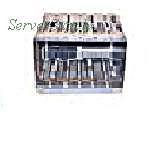 Hewlett Packard - 382118-001 HOTPLUG SCSI DRIVES CAGE FOR ML310 G2 / G3 PN: 382118-001. 384756-001. 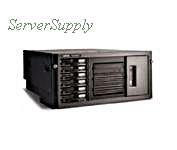 Hewlett Packard - 684961-001 684961-001 HP 8-BAY Small Form Factor With Cage For DL360E GEN8. New Bulk Pack. Hewlett Packard - 506928-B21 506928-B21 HP 12bay LFF Hard Drive Cage. New Bulk Pack. Hewlett Packard - 778157-B21 778157-B21 HP ML350 Gen9 8SFF Hdd cage kit. New Bulk Pack. 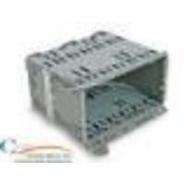 Compaq - PROLIANT 3000/5500 SIMPLEX/ DUPLEX DRIVE CAGE P/N: 328073-B21 or 328696-001. Hewlett Packard - 401415-B21 401415-B21 HP 8bays SAS Sff Drive Drive Array Kit W O Cage For Proliant Server - Storage Enclosure 8 X 2.5inch - Internal Hot-Swappable. New Bulk Pack. 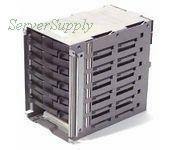 Hewlett Packard - 670943-001 670943-001 HP 8 SFF Cage Backplane KIT Storage Drive Cage Pc. New Retail Factory Sealed With Full Manufacturer Warranty. Hewlett Packard - 726547-B21 726547-B21 HP ML350 GEN9 8LFF Drive Cage Kit. New Retail Factory Sealed With Full Manufacturer Warranty. Hewlett Packard - 726561-B21 726561-B21 HP ML350 GEN9 LFF Media Cage Kit. New Bulk Pack. Hewlett Packard - 401415-B21 HP/COMPAQ - 8 BAYS SAS SFF DRIVE DRIVE ARRAY KIT W/O CAGE FOR PROLIANT SERVER - STORAGE ENCLOSURE 8 X 2.5INCH - INTERNAL HOT-SWAPPABLE (401415-B21). REFURBISHED. IN STOCK.SHIP SAME DAY. Hewlett Packard - P2553-63003 DRIVE CAGE FOR TC3100 PN: P2553-63003. 5065-5027. Hewlett Packard - 506927-B21 506927-B21 HP 2U G6 8HDD Cage Fio KIT For Lff Hdd. New Bulk Pack. Hewlett Packard - 158366-001 158366-001 HP Drive Cage With Backplane Board For Raid Array 4100. New Bulk Pack. Hewlett Packard - 244058-B21 244058-B21 HP 2bay Hot Plug Wide Ultra2 Ultra3 SCSI Internal Drive Cage For Proliant Servers. New Retail Factory Sealed With Manufacturer Warranty. Hewlett Packard - 511782-001 511782-001 HP 8bay SFF Hard Drive Cage For ML350 G6 Server. New Bulk Pack. 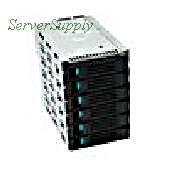 Hewlett Packard - 297989-001 297989-001 HP Redundant Power Supply Cage With Out Power Supply For Proliant Servers. New Bulk Pack. Compaq - 314670-001 PROLIANT DL380 G3 SYSTEM BOARD PN: 314670-001. FOR MODELS 3.06-3.2MHZ. 533MHz FSB. WITH PROCESSOR CAGES AND SYSTEM BATTERY. Compaq - PROLIANT 3000/5500 DUPLEX P/N: 123135-B21 ULTRA2 DRIVE CAGE. 10 DRIVE. Same as 144575-001. 123136-001. Hewlett Packard - 507803-B21 507803-B21 HP Ml350 370G 6 8 SFF 2nd Drive Cage. New Bulk Pack.